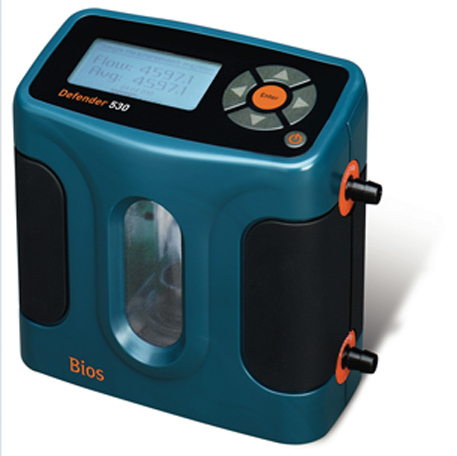 The Bios Defender 530+ Plus High Calibrator has the ability to take both volumetric and standardized readings, adding to the line of DryCal primary flow calibrators on the market today. 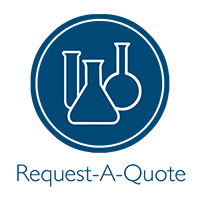 Automatic correction of readings for temperature and pressure, rather than merely recording of ambient conditions is essential in many applications. The Defender 530+ Plus provides users with a true primary flow calibrator for industrial hygiene, environmental and laboratory applications. The Defender 530+ Plus is easy to use. Turn it on. Connect it to a sampling pump. Start taking readings. It's as simple as that. Calibrations within a minute with no messy soap bubble solutions to wait on or clean up.